No longer are credit cards limited to the high income bracket population in India. The Indian population is now amassing credit card debts and ‘reward point’ strategies of banks. If you have a credit card debt in India, here are a few tips to keep in mind to reduce your debt. These tips to reduce credit card debt are aimed to inform and educate the budget conscious spender about how credit card debt can spiral out of control. Do you have a budget for your groceries every month? Then we recommend that you stay away from using credit cards to shop for your groceries because if you use your ATM Debit card or cash, you will have better control on how much you spend. You will also be able to tell instantaneously if you are within your budgets and if you aren’t, you can cut down on spending elsewhere immediately. If you’re thinking that this is common sense, think again. Many of us make big purchases like airline tickets if we see a good deal online from our credit cards. Will we be able to pay it off? "Oh I will manage it in the coming months" is what many would think. You better be able to manage this hefty credit card debt, or else you will end up paying 15-20% interest on your credit card debt in India. Ouch! And I am not even talking about other finance & service charges which in itself are quite huge! Cash advances on credit cards in India attract an interest rate of 2-3% per month along with transaction fees. Is it really rocket science that it is best to stay away from cash advances while dealing with credit card debt in India? Unless you are faced with an emergency, look for other borrowing options if you are cash strapped. Most banks offer loans against FDs which are a popular choice among those who want to borrow money without breaking investments or attracting a hefty interest rate on cash advances with credit cards. If you have a credit card debt that you are unable to pay off in the near future, you may want to talk to your bank or service provider to allow you to convert your credit card debt into EMIs. 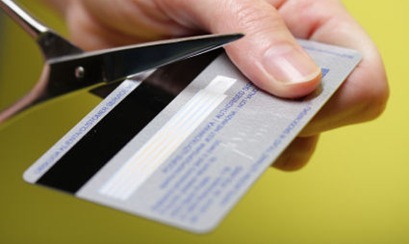 Credit card issuers may offer EMI facilities to customers who are unable to pay off their credit card debts. But this option may not be the cheapest as it attracts processing fees and other conditions. This probably is most important of all – If you have money, try to wipe out as much as you can from your credit card dues. Never get caught in the lure of paying 5% minimum due and rolling on the credit to next month. Nothing beats the interest rates, finance charges & other overheads charged by Credit card companies. If you keep paying that minimum due, your principal amount will never reduce, it will only increase! Credit card frauds are rampant and we read about them in the newspapers every now and then. But the thought of "this will never happen to me" often gets the better of us when we make online purchases from our credit cards. Make sure that you verify the authenticity and security of the website before you give any credit card details. The last thing you want is to be faced with the complication of credit card while you’re trying to figure out how to manage your own credit card debt. And please remember, most agencies in India have started using the Credit rating system as it is in Western countries. Do not default on your payments at any cost, or you will have a lot of head-aches while procuring a loan in future! A really well written post which encapsulates various measures that one can take to reduce or rather avoid a credit card debt. It is a content worth reading. It covers so many things which many people are unaware of. They need to have a reality check over what they consider as an easy money could be an invitation to the never ending financial woes. Dont get a credit card instead use debit card. Isnt this end of all credit card woes?